This interactive course is in movie format . 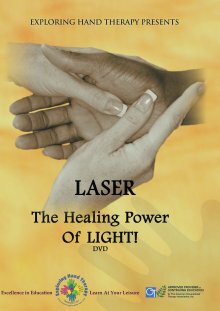 This course is excellent for the clinician who wants to effectively learn how to apply Low Level Laser treatment (LLLT) in the clinic to promote healing. Learning level is intermediate to advanced. The instructor takes you from history to application of LLLT. Note: This course provides conceptual preparation to seek additional training, and does not provide you a mentored hands-on skills session. Please seek additional experience, with a mentor, to perform hands-on skills.Mixed level learning course - Instructional Methods include PowerPoint presentation, lecture, and video to enhance understanding. Upon successful completion of the examination (80%) your certificate will be sent via email. Good presentation of subject with good handout which I can refer back to if needed. I feel I have a good understanding of laser use after taking this course.